Cheese is just curdled milk, right? Well…actually it’s a method whereby milk is deepened, enriched and transformed into a food that is a little short of miraculous. In Vermont, we are fortunate to have a host of localized cheesemakers who are bringing a sense of artistry to their craft. One notable example is the Putnam family of North Pomfret, and their Thistle Hill Tarentaise. This very fine, organic cheese is layered with butterscotch and herbal overtones. 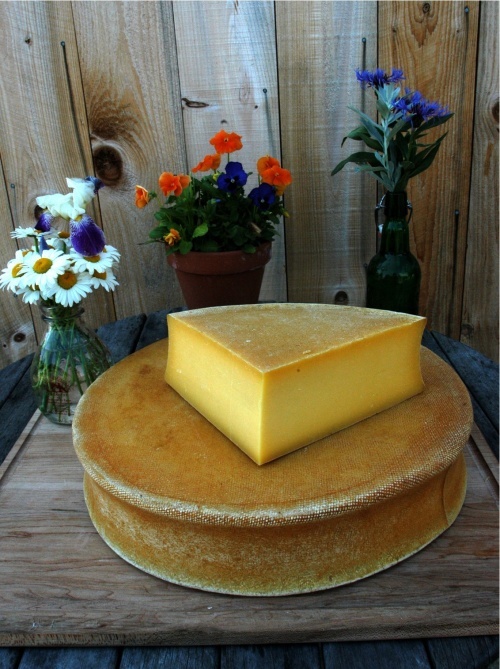 The Putnams make this raw milk, Alpine style cheese on their 83 acre farm from April through December. Somehow, they have infused their cheese with all the flora and fauna and flavors of our rolling Vermont hills and snug valleys. So come into the Warren Store in the next few weeks, as we’ll be featuring the Thistle Hill Tarentaise in the deli. Have a taste. Bring a wedge home with you. Vermont doesn’t get any better than this.